Colombia’s corporate oversight agency Superintendencia de Sociedades (SuperSociedades) announced October 25 that Medellin-based clothing manufacturer Everfit won approval for its bankruptcy reorganization plan. The deal also includes continuation of pension payments for 60 employees, at least through end-2018, according to the agency. “The payment to workers will be made in a single installment this year,” according to the agency. SuperSociedades director Francisco Reyes Villamizar added that “the reorganization process seeks to recover and preserve the company as an economically productive unit, normalizing its commercial and credit relationships, through the operational and administrative reorganization of its assets or liabilities." Everfit, founded here in 1923, filed for bankruptcy on July 29, 2016, as it was unable to compete against a flood of cheap textile and clothing imports -- mainly from China and elsewhere in Asia. Its web-page today features a “Compra Colombiano” (Buy Colombian) message (see photo, above). Medellin’s annual list of wine-tasting events featuring local and international wines continues to grow -- along with workshops led by leading producers and marketers. One such event here on October 20 -- organized by local daily newspaper El Colombiano -- featured a lecture by Carlos Bravo, owner and founder of the “Viña Sicilia” vineyard and production facility at Olaya, Antioquia ( about 15 minutes from Santa Fe de Antioquia). Viña Sicilia is a boutique grower and producer, making only about 4,000 bottles per year of its most famous, award-winning “Bianco” white wine, a 50-50-blend of “grillo” and “catarratto” grapes that trace their origins from Italy’s Sicily region, Bravo explained here. This wine just won a “double gold” award at the August 2018 annual “Vinus” competition in Mendoza, Argentina, where producers from 17 nations put their wines through blind tastings for 63 international judges, he explained. That was just the latest of 64 international prizes for various Viña Sicilia wines this year, following 43 prizes in 2017 and 22 in 2016, he added. Besides “Bianco,” Viña Sicilia also produces Malbec, rose, Syrah and late-harvest varieties. While the ambient temperatures around Viña Sicilia are relatively hot and dry -- the terrain is at just 550 meters above sea level and not far from the equator – the nearly complete “Hidroituango” hydroelectric dam is now raising the water level of the Cauca River adjacent to the vineyard. This vertical and horizontal rise in Cauca water levels next to Viña Sicilia likely will drop average ambient temperatures by about 2 degrees Celsius, hence favoring the evolution of wine grapes, he said. Also favoring production of finer wine-quality grapes is the sedimentary nature of the local soils -- left by thousands of years of rising and falling Cauca water levels -- as well as a relatively high luminosity enhanced by reflected sunlight off the waters, he said. Meanwhile, with each year that passes, Colombia’s wine growers are gaining more experience, raising hopes that Colombia might one day be better known for producing several world-class wines, he added. Meanwhile, Boyaca boasts a growing number of specialist vineyards and wine producers, with two of them in the vicinity of the picturesque town of Villa de Leyva. One of these is Viñedo Ain Karim, producers of the “Marques de Villa de Leyva” brand wines, including Cabernet Sauvignon, Sauvignon Blanc and Merlot varieties -- with vines imported from France -- as well as a Chardonnay from grapevines that came from California’s Napa Valley, according to the company. “Ain Karim is an unusual vineyard, at 2,110 meters above sea level, nestled in the Andes mountain range,” according to the owners. “This place -- with ideal microclimate and calcareous [chalky] soil, with very high solar radiation and low temperatures at night -- incorporates a wine tradition from the colonial days, when the Spanish friars cultivated vines to make their own wines [for Catholic masses],” according to Ain Karim. Meanwhile, the neighboring “Umaña Dajud” winery in nearby Sáchica – with vineyards at just-above 2,000 meters – has six hectares devoted to Cabernet Sauvignon (red and rose varieties) with most of the vines coming from France, according to the owner. Another two hectares at Umaña Dajud are devoted to recently planted vines for a France-derived Chardonnay, but these aren't yet in production, the company added. Elsewhere in Boyacá is the relatively large “Marqués de Puntalarga” winery at the little town of Nobsa, specializing in Pinot Noir and Riesling varieties -- thanks to its climate and soil conditions. The “Rubi” and “Coral” Pinot noir varieties trace their vine origins to Borgoña, France, first planted at the Puntalarga winery in 1984, according to the owner. As for the two types of Riesling wines, these grapes trace their origins to the Rhine Valley in Germany, also first planted at Puntalarga in 1984. Yet another novel wine offered at Puntalarga is a “Boyacau Nouveau” variety similar to Beaujolais, according to the owner. Meanwhile, Puntalarga is organizing a consortium of 35 small grape producers in the nearby “Valle del Sol” area, aiming to expand total production capacity for Pinot noir, Riesling and Silvaner varieties. “Using a combination of imported must (wine-grape juice) and locally produced grapes, we have been making wines since 1978, when we produced 1 million bottles that year, in 13 varieties,” according to Grajales. Today, Grajales boasts of 4 million bottles/year of local wine production capacity, with 10 million bottles/year of total bottling capacity, plus 3,000 hectares of proprietary grape and fruit production as well as 1,300 employees. Under its generic “Tinto” brand, Grajales also offers what it calls a “classic” red table wine, while its “Rose” generic brand is described as a “classic” table wine. The company also makes four cooking wines (red and white varieties) as well as five fairly sweet wines (red and white) for the Catholic mass, plus two “fruit wines" (apple and peach, both sweet) and three other very sweet wines including a Moscatel variety. Rounding-out the Grajales offer of nationally produced wines are two sparkling wines and two “Don Luis” branded premium wines. Colombia’s other two wineries are both very small, and both in Santander: Viñedo Sierra Morena, maker of the “Perú de La Croix” red wines, and the nearby Viña Aldana, which combines boutique red-wine making with an “eco-oriented” hotel, according to the owner. Medellin-based multinational retail giant Exito announced October 5 the long-awaited opening of Colombia’s biggest shopping mall: the “Viva” center in the Medellin suburb of Envigado. “With an investment of approximately COP$660 billion [US$217 million] and a commercial area of 137,000 square meters, Viva Envigado -- the largest commercial and business complex in the country -- opened its doors to the public,” according to Exito. One-third of the commercially leased area is dedicated to entertainment and gastronomy, while 6,000 new jobs are created at the center, according to Exito. “Global trends show us that shopping centers must evolve from a commercial building to a ‘human place’ where customers have experiences,” according to Exito’s Juan Lucas Vega, vice president of real estate. Via a free internet connection, the mall also delivers a “digital layer that transmits segmented content and commercial ‘scoops’ directly on customers' smart-phones, complemented by digital, interactive screens that allow customers to know locations and marketing activities,” according to Exito. 4. Decathlon, “one of the largest sports stores in the world,” making a first-ever appearance in metro Medellin. In addition, for the first time, Grupo Éxito’s private-label clothing lines “Arkitect” and “Bronzini” will have an exclusive store, while Exito’s “Finlandek” line of kitchen and home accessories – together with “Electrodigital” appliances – likewise will have a dedicated retail outlet. “These two [clothing and home-appliance] stores, totaling more than 300 square meters, are the start of an innovation laboratory with which we want to reach our customers in a different way and provide a more personalized, superior experience,” added Jacky Yanovich, Exito’s vice president of sales and operations. The new shopping center also includes “Viva Park,” described as “the largest amusement park located within a shopping center, with 6,000 square meters outdoors that will become a place of entertainment for the whole family,” according to Exito. A “Bistró Street” section includes 21 open-air restaurants, in addition to a food court with 18 brands. A “Viva Sports’ section includes a “Smartfit” gym, five synthetic soccer fields, a jogging track, a multifunctional play-court, a beach volleyball court and a climbing wall. The building complex also incorporates a photovoltaic array covering 1,700 square meters, generating approximately 451 kilowatt-hours of power or around 20% of common-area power requirements during peak solar-radiation hours. Besides having a direct connection to the zero-emissions “Metro” rail-line station, “the construction of Viva Envigado is environmentally responsible thanks to saving 35% of water in the bathrooms;130 bicycle parking lot spaces; 140 exclusive parking spaces for low-emission electric vehicles; and 70 carpooling parking spaces,” according to Exito. Canada-based gold miner Continental Gold this month organized memorial masses for four of its employees murdered by FARC “dissident” groups in Antioquia -- and then announced the hiring of a top-flight security agency that aims to prevent future such incidents. Three of the four victims – geologists Camilo Andrés Tirado (31), Laura Alejandra Flóres (27) and Henry Mauricio Martínez (27) -- were murdered September 19 near Yarumal, Antioquia, by “dissidents” belonging to the “36th Front” of the narco-terrorist FARC group -- several leaders of which have been given seats in the Colombian Congress via a “peace” deal negotiated by former Colombian President Juan Manuel Santos. The fourth Continental Gold employee victim -- Oscar Alarcón Gallo – was murdered in another terrorist attack a week earlier in Buritica, Antioquia. “Special masses were recently held in both Medellín and Buriticá to honor the lives of Laura, Henry, Camilo and Oscar and were attended by our employees, members of the military and police, and members of the local communities,” according to the company. “Additionally, on Wednesday, October 3, a memorial ceremony was held at our Buriticá [mining] project site in which trees were planted to commemorate the lives of each of the victims. These trees will continue to grow in honor of their legacy. “With the goal of strengthening and reshaping our security team and protocols, the company has engaged Control Risks, the world’s foremost security and risk consultancy, to lead efforts in restructuring our security department and reassessing our security risk matrix. “The company is also pleased to announce our new security manager, Juan Carlos Chacón, who joins us from Control Risks and has an impressive military and private sector background with a strong understanding of international standard best practices. “In addition, the security manager reporting line has now been elevated directly to our country manager, Luis Germán Meneses, former executive vice-president and chief operating officer of Cerrejón, Colombia’s largest private coal producer and exporter and one of the largest integrated mining companies in the world. “Together, with our community partners, we will persevere in helping to build a bright future at Buriticá,” the company added. The “Corvipacifico” construction consortium announced in late September that it is cranking-up construction works on the long-delayed “Pacifico 1” highway between Medellin and Bolombolo. That highway will connect (via a new bridge across the Cauca River) with the under-construction “Pacifico 2” highway linking Bolombolo to La Pintada -- both straddling the Cauca River -- and then onward via “Pacifico 3” highway all the way to Colombia's main Pacific freight port at Buenaventura. To facilitate construction on “Pacifico 1,” Corvipacifico is closing the existing highway between Puerto Escondido and Bolombolo from 9 a.m. to 5 p.m. Mondays through Fridays for the next six months, according to the group. “This closure is a priority need from the point of view of road safety, and is carried out in order to advance the construction and stabilization of slopes that will be part of the four-lane divided highway, the upper portion of which is located at about 45 meters above the existing road,” according to Corvipacifico. According to Corfipacifico, construction also has begun on the two big tunnels for Pacifico 1 project, at Amagá (3.6-kilometers length) and Sinifaná (1.3-kilometers). “These two tunnels that will cross the imposing and rugged geography of Antioquia will be added to the new generation of tunnels throughout Colombia,” according to the group. The Sinifana tunnel is three kilometers from the town center of Bolombolo, and the Amagá tunnel is located in the municipality of Amagá, a long-time center of artisanal coal extraction. “The tunnels respectively will be equipped with all the technological equipment for their operation and control with the best safety specifications [including] a ventilation system, lighting, communications, variable signaling and fire protection,” according to the group..
“Following the excavation activities that began recently, we foresee completion in September 2019 in the case of the Sinifaná tunnel, and in September 2021 we foresee completion of the Amagá tunnel,” according to the group. The COP$3.58 trillion (US$1.2 billion) “Pacifico 1” project reached financial close two years ago (see Medellin Herald June 10, 2016), but construction work has been slow and sporadic. “Pacifico 1” will total 50.2 kilometers in length, including the two tunnels, 54 new bridges and three new intersections. In an October 2 press conference, EPM general manager Jorge Londoño de la Cuesta contradicted new claims made by Antioquia Governor Luis Perez over supposed contractor errors or negligence surrounding the troubled “Hidroituango” hydroelectric power project in Antioquia. Gov. Perez claims that construction contractor Consorcio TIFS didn’t comply with the original schedule for building and then later shuttering the first two of three water-diversion tunnels -- and that such delays (and subsequent tunnel closings) eventually led to compensatory speed-up decisions that unfortunately triggered an estimated COP$7 trillion (US$2.33 billion) in cost over-runs. What’s more, the third diversion tunnel (“GAD” in Spanish initials) built by EPM – which collapsed in April 2018, causing downstream flooding and then emergency measures to avoid a dam collapse – wasn’t built to proper technical standards or capable of handling relatively high water flows, Perez claimed, citing an unpublished study by Universidad Nacional (UNAL). In addition, Gov. Perez claimed that the explosives subsequently used in a failed attempt to unblock the first two diversion tunnels following the collapse of the “GAD” tunnel” caused dangerous landslides and weakened the rock massif adjacent to the dam, potentially threatening the entire Hidroituango project. Furthermore, Gov. Perez separately claimed late last month that EPM had used polygraph tests to “blacklist” certain employees under suspicion for leaking potentially damaging financial information -- possibly linked to Hidroituango issues -- to the governor and certain Medellin City Council members. That latter claim – flatly denied by EPM’s general manager -- provoked the utility to file legal complaints against Gov. Perez and City Councilwoman Luz María Múnera Medina for “calumny and injury” to EPM’s reputation. As for supposed errors, miscalculations or negligence in the Hidroituango project, Londoño de la Cuesta pointed-out that an independent advisory board had approved the GAD project, contradicting Gov. Perez. As for the claims about the supposed incapacity of the GAD tunnel to handle high water flows, “Integral S.A.” engineering manager Luis Fernando Restrepo pointed out at the press conference that international technical studies and experience indicated that the tunnel would indeed be capable of handling such flows. EPM’s Londoño de la Cuesta added that the company is now awaiting results of a technical study by Skava (due in November) to determine whether the GAD tunnel collapse was the result of an undetected geological fault, an engineering design error or a construction error. Until that study has been completed, it’s “irresponsible” for third parties (such as Gov. Perez) to make “unsubstantiated” claims about the cause of the tunnel collapse and the subsequent economic damage to the Hidroituango project, he said. What’s more, engineering studies indicated that the GAD diversion tunnel – had it not collapsed last April -- would have been sufficient to handle the water flows that earlier had been handled by the two previous diversion tunnels, he said. More than 500 attendees from 11 nations attending the “Second International Conference on Electric Mobility” in Medellin September 25-26 heard from dozens of international and national experts on the need to speed-up the nascent adoption of electric vehicles (EVs) here. Such an acceleration of EV adoption would slash air pollution, improve public health, reduce energy-import dependence and cut "global warming" emissions, according to expert speakers here. Meanwhile, “range fear” – a crucial consumer issue that heretofore has hobbled EV adoption -- is declining, as Colombia now has two EVs offering 300-kilometers autonomy between recharges – the Renault "Zoe" five-passenger sedan, sold at COP$99 million/US$33,000, and the BMW “i” sedan, at COP$150 million/US$50,000. What’s more, China-based BYD is now offering a 400-kilometers autonomy “E5” five-passenger sedan in Colombia, at COP$107 million/US$35,600. Having first launched sales in Bogota, BYD is now debuting a new-car showroom and maintenance shop in Medellin, due in October. Nissan also has its prior-generation, 200-kilometer-autonomy “Leaf” available here at COP$117 million (US$39,000). But the company hasn’t yet decided whether to launch a longer-autonomy version for Latin America next year. In addition, Medellin-based national motorcycle assembly and marketing giant Auteco is offering several varieties of “Starker” electric motorcycles and bicycles, at prices that would seem to be affordable even for low-income individuals and families. However, “e-motorcyles” and “e-bikes” would be even more attractive to lower-income families if Colombia eliminated import taxes and value-added taxes on such vehicles -- and if governments incentivized wider construction and deployment of public "e-motorycle" recharge stations, according to the company. Auteco sold more than 4,000 EV motorcycles in Colombia last year – a drop in the bucket compared to the 8 million gasoline-fueled motorcycles in Colombia, however. What’s more, the Medellin metro area is now hosting more than 700,000 motorcycles, accounting for the single biggest chunk of air pollution among all types of vehicles. Gasoline-engined motorcycles of less-than-125-cubic-centimeters displacement account for more than 95% of Colombian motorcycle sales, as these enjoy tax exemptions. Problem: Such motorcycles are not only cheap, but also relatively "dirty" in tailpipe emissions. The annual Electric Mobility conference, this year in Medellin -- organized by the United Nations-accredited World Energy Council (WEC) -- aims to help nations and municipalities overcome environmental, economic, energy and social problems caused by pollution from internal combustion engines (ICEs). In a keynote presentation here, WEC-Colombia chapter president Jose Antonio Vargas -- who's also the president of Italy-based power giant Enel’s “Codensa” power subsidiary in Colombia -- cited enormous public-health costs of air pollution, especially cardiopulmonary diseases triggered by ozone and particulate matter (PM) emissions mainly from vehicles in cities. But there’s hope on the horizon, as zero-emissions EV costs are falling in concert with the plunging cost of the most expensive component: batteries. This would make EV cars and motorcycles attractive to vast numbers of middle-class and lower-income Colombian families, he showed. In 2018, EV battery costs were 43% of the total cost of electric cars, at around US$240 per kilowatt-hour (kWh), Vargas showed. However, that’s down from US$400/kWh only four years ago – and battery costs are seen falling to around US$100/kWh sometime between 2025 and 2030, making EVs cost about the same as ICE cars, he showed. Meanwhile, big cities including Medellin are facing ever-worsening air-pollution crises mainly caused by ICE vehicle pollution, with a new alert just issued for the month of October. As a result, the Area Metropolitana del Valle de Aburra (AMVA, the Medellin metro council of governments) just expanded “pico y placa” orders banning circulation of ICE vehicles during certain hours, with vehicle rotations based on odd/even license plate numbers. The “pico y placa” restriction exempts zero-emissions EVs. But that exemption is only one of a very few Colombian local or national government incentives for EV purchases. As a result, today’s EV incentives aren’t nearly big enough to encourage faster turnover of ICE fleets to EVs, Vargas argued. While China is leading the world in massive EV production, development, deployment and government incentives, in Latin America, Chile is taking the regional lead toward EV adoption, as a law first adopted in 2014 imposes a US$1,000 extra charge on gasoline and diesel-fueled vehicles -- while electric power tariffs are cut 30% for EV owners recharging at night, he noted. While home- or office-based charging accounts for the vast majority of EV recharges everywhere in the world, Chile has rapidly expanded public-access charging as well. What’s more, the Chilean government offers subsidies of up-to-US$8,000 for purchase of EV taxis, and the city of Santiago is moving to replace old, “dirty” diesel buses with 2,000 electric buses by 2025, he showed. Neighboring Ecuador also offers relatively hefty incentives for EVs including restrictions on ICEs for inner-city travel, exemptions from value-added tax and import duties, and elimination of the former limit of 1,000 EV imports per year. As a result, Ecuador now expects that at least 22% of all new cars bought there by 2032 will be EVs. As for Colombia, the only incentives for EV purchases are a reduction in value-added tax (to 5% instead of 19%) on new EV cars. However, the government is only allowing the duty-free import of 1,500 EVs per year, greatly restricting market access. Ironically, the national electric-power planning agency (UPME) has set a goal to require at least 400,000 EVs in Colombia during the next decade. Yet at the same time, other government agencies are severely restricting EV imports or delaying imports via cumbersome reporting regulations, experts pointed-out here. Meanwhile, Medellin Mayor Federico Gutierrez announced September 13 that the city aims to have "streets free of ICE vehicles by 2030," and newly elected Colombia President Ivan Duque is promising to promote “massive” deployment and use of EVs in Colombia. However, only 754 EVs were bought in Colombia last year, out of a total passenger vehicle fleet of 5.8 million cars and 8 million motorcycles, WEC’s Vargas noted. Today’s EV passenger sedans in Colombia can cost two-to-three times as much as comparable ICE cars, although future EVs are likely to be much cheaper within about five to seven years, he said. However, Colombia’s cities can’t wait to crank-up the battle against choking air pollution, he said. Which is why government agencies should move to eliminate value-added tax on EVs through 2030, eliminate limits on tariff-free imports, impose higher taxes on dirty fossil fuels and vehicles, speed-up adoption of electric transit buses, public-fleet vehicles and taxis, move to impose much-tougher “Euro-6” tailpipe emissions limits, allow companies and individuals to deduct the cost of EV recharge stations against taxable income, require public EV recharge stations to be included in new buildings, require builders of the new “4G” inter-departmental highways to install public EV recharge stations, and allow EV owners to enjoy a discounted annual vehicle-circulation-tax, he said. On a related front, Medellin’s plan to have 1,500 EV taxis by 2020 has hit a snag as project participant EPM pulled-back on earlier promises to subsidize the scheme – due to financial problems arising from the troubled “Hidroituango” hydroelectric plant in Antioquia. In a post-presentation interview here, EPM commercial director Juan Rafael Lopez confirmed to Medellin Herald that the “Hidroituango” problem forced the electric utility to cut funding for the proposed E-taxi project -- with the result that multi-party “structuring” discussions are now trying to unblock the project with alternative schemes. In a separate interview following his presentation here, Medellin Mobility Secretary Humberto Iglesias told Medellin Herald that the multi-party discussions are considering a new, two-tiered tariff structure that would allow “green” EV taxis to charge higher fares than the “yellow” gasoline-powered taxis. While many taxi customers are seen likely to choose the cheaper (and higher-polluting) “yellow” taxis, there will be portions of the Medellin population that would prefer “green” taxis -- just as some Medellin residents already choose to pay higher fares for “Uber” taxis, he explained to us. Meanwhile, the explosive growth in relatively high-polluting gasoline motorcycles in Medellin over the last 10 years can be explained in part by the low cost of such transport, he said. A Medellin resident earning Colombia’s minimum monthly salary today would pay about 30% of that salary for local public transport -- but only 22% of that salary for motorcycle transport, he said. One remedial measure being considered is a possible scheme to ban access to the city center by polluting gasoline motorcycles. This would encourage such motorcyclers to migrate to zero-emissions public transport or else zero-emissions EV motorcycles, he added. Another proposed scheme (since discarded) was expansion of the current 19,000 limit on taxi licenses in Medellin to include paired, “green” EV taxis. That proposal would have allowed individual license owners to add an EV to their existing operating permit -- and then scrap the “paired” gasoline taxi after three years, leaving the "green" E-taxi to take its place. Problem: Taxi owners complained that this proposed scheme would have expanded supply for taxi services in Medellin without increasing demand, hence lowering daily revenues. In addition, the city doesn’t want to expand the vehicle fleet in street-congested Medellin by lifting the current 19,000 limit on taxis to include more "green" taxis, Iglesias added. Registrations for the post-festival birding trips (Manantiales or Napoles)-- departing October 6 and returning October 8 -- can be made here: https://www.festivaldelasavesmedellin.com/pajareadaspostfestival . However, as of this writing, the Napoles birding trip was already fully booked. 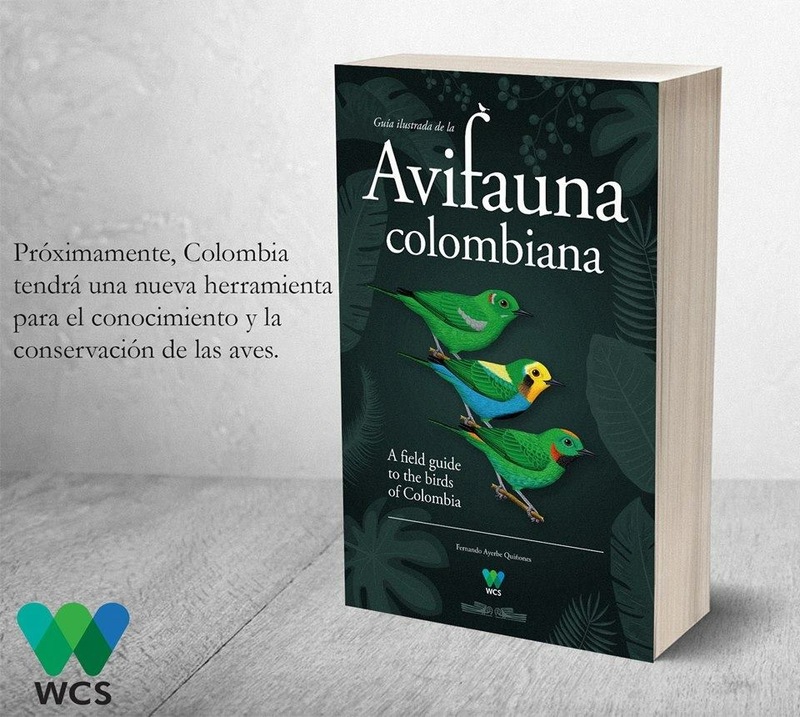 3:45 pm Thursday, October 5: Expert lecture on how to prevent bird collisions with power lines in Colombia, at Planetarium. 6 pm Friday, October 6: Lecture on urban birds by Cornell Laboratory of Ornithology bird expert Karen Purcell, EAFIT university (Las Vegas campus). The Antioquia departmental government (Gobernacion de Antioquia) and the Area Metropolitana del Valle de Aburra (AMVA, the association of Medellin regional governments) announced September 13 that financing has been secured for a major debottlenecking project of the “Regional Norte” highway between Medellin, Bello and Copacabana. The current highway suffers huge traffic jams at the intersection of the main Bello highway with the roundabout connecting the “Regional Norte” highway and the Niquia metro station. Extending the congested "Regional Norte" highway north of Medellin alongside the eastern bank of Rio Medellin has been frustrated for some 50 years, proponents noted. According to the AMVA-Gobernacion joint press release, COP$179 billion (US$59 million) has just been approved for “phases 2, 3 and 4” of the “Avenida Regional Oriental Norte” project. This scheme partly involves building elevated highways on the eastern side of the Rio Medellin, opposite the existing Regional Norte highway on the western bank. • Phase 2, Northern Oriental Regional Route (Bello): This involves extending the Regional Norte highway on the eastern side of Rio Medellin between Universidad Minuto de Dios (at the Acevedo interchange) and the La Seca interchange (Fontidueño sector) in the municipality of Bello. The project includes construction of a 3.6-kilometers-long highway with three vehicular lanes and a bicycle corridor, including a 350-meters-long bridge system connecting to the La Seca interchange. • Phase 3, La Seca Interchange: The La Seca Interchange on the western side of the Rio Medellín river will connect to the eastern side of the river in the vicinity of EPM’s new "North" wastewater-treatment plant in Bello. This project will include two vehicular lanes of 1.9 kilometers in length, including 0.8 kilometers of bridges -- along with sub-surface intersections -- enabling future expansion of the Metro rail system northward of Niquia and including the highway route to Fontidueño. “The La Seca Interchange will allow the circulation of some of the 30,000 vehicles that travel daily through the Bello-Hatillo highway and the main route for those heading to the north of the department of Antioquia and the Colombian Caribbean coast,” according to the agencies. • Phase 4, Copacabana: This project includes a vehicular and bicycling corridor 600-meters long, from 50th street to 48th street, bordering the Piedras Blancas stream and the west bank of Rio Medellín, passing through the Quebrada Las Catas and finally connecting with the main entrance bridge to Copacabana’s central park, according to the agencies.